New babies are lots of fun. Lots of work, but still fun. After all the sleepless nights and stressful days, momma could use a little TLC (and a nap!). With this kit, she’ll have some of the basics every new momma needs. Ready to put your own Pamper Mommy Package together? – Sugar Scrub (Again, made my own. Find the recipe HERE. Or purchase some HERE). Some days with a newborn make you feel like you are completely caked in spit up, urine and other bodily fluids. 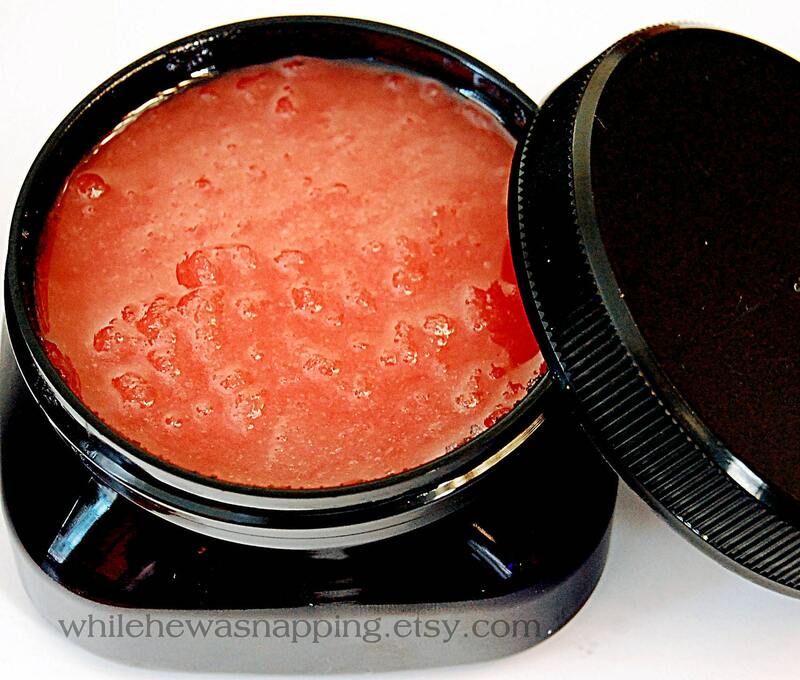 Scrub it off with some gentle cleansing sugar scrub. 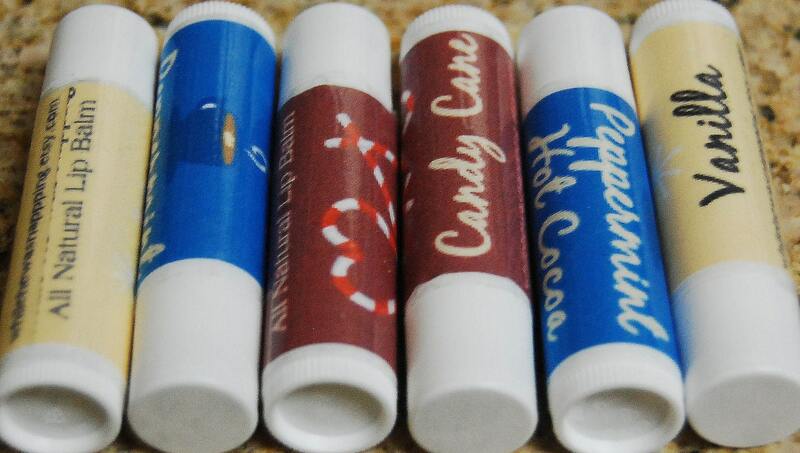 – Decadently-scented lip balm (Again, made my own. You can purchase some HERE). I always get chapped lips, especially in the winter time, when I’m breastfeeding (or pumping, in this case). Lip balm isn’t often high on the priority list with a newborn. – Hand Cream (Yep, made my own once again). How many times a day does a new momma wash her hands? 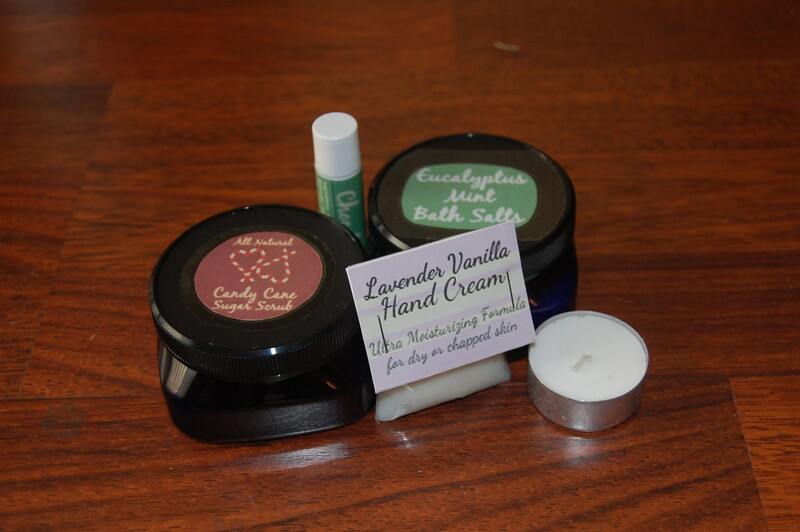 A thick, moisturizing hand cream will help restore the dry, chappy skin that washing your hands brings. *If you would like to purchase your own little kit, let me know. I’ll set you up with a reserved listing on Etsy and get you a deal. 1. Whether you use purchased items or make your own, you’ll need something cute to put it in. This could be anything from a cute gift bag to something more like the mini paint can I used. 2. Arrange your items in your bag or other container. Wrap up nice and pretty. And give to a mommy-in-need. I wish someone would have made me one of these babies when I had a baby! Cute idea!